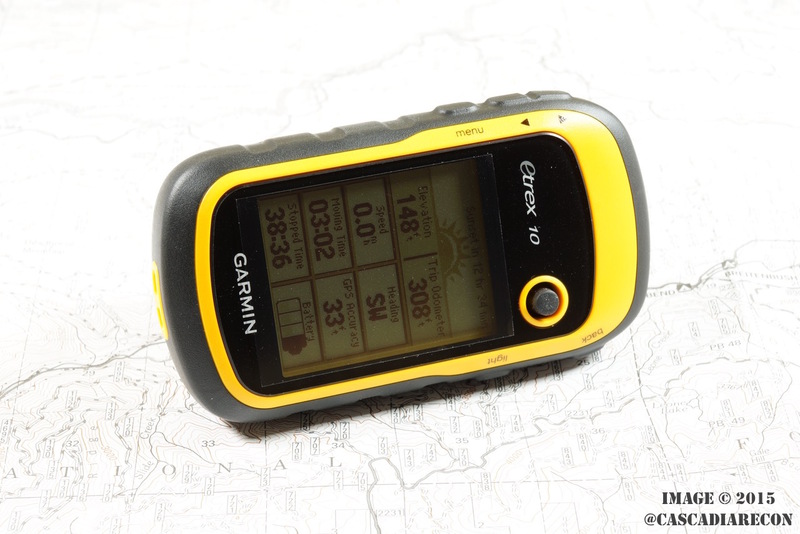 The Garmin eTrex 10 is a basic, no frills handheld GPS unit that has a few tricks up its sleeve. 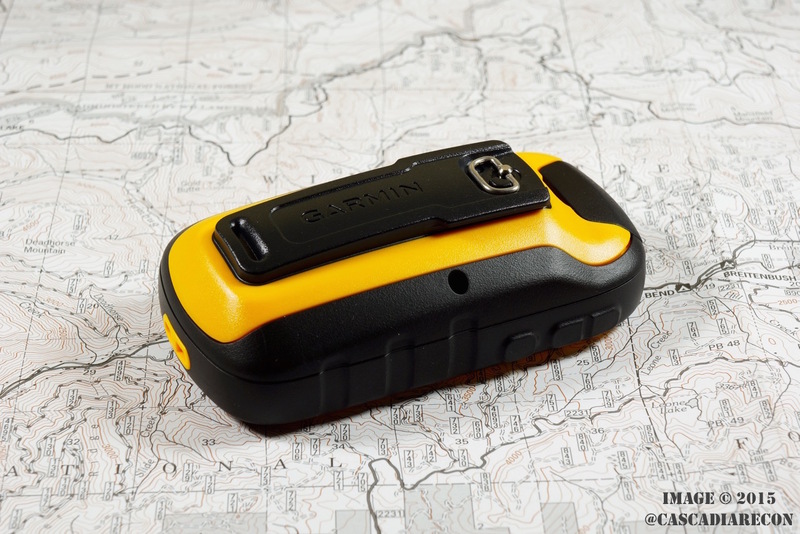 While it is the cheapest GPS presently in Garmin’s lineup, with an MSRP of $109.99 USD, it can frequently be found on sale for quite a bit less. If you are looking for something that won’t break the bank, but has excellent reception to get you from Point A to Point B, this might just be the ticket. GPS and GLONASS satellite reception. Transflective monochrome screen of 128 x 160 pixels. Track log of 10,000 points / 100 stored tracks. Weight of 5 oz. (141.7 g) with batteries installed. Ability to add custom POIs (Points of Interest). Battery life of 25 hours on 2 AA batteries. Supports paperless geocaching (see FYI below). For simplicity and value, it’s hard to beat this little GPS. It is great for tracking your neighborhood walks, day hikes, marking spots you’d like to return to, and for creating an electronic breadcrumb of where you’ve been. Waypoint and track files are saved in the standardized .GPX format, which makes importing and exporting them to your computer a breeze. 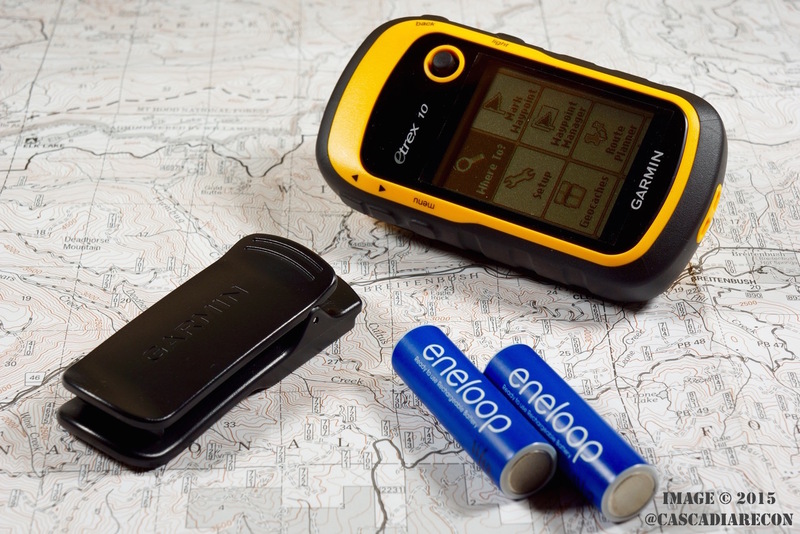 It’s nice to see a USB cable interface, as Garmin’s older base model (also yellow), the eTrex, had a serial port connection. If you are looking for software to use, Garmin offers their “BaseCamp” program free of charge for download, and there are both Windows PC and Mac versions. Battery life is outstanding. There is just no way around that fact, and is one of the reasons that we really like this device. The quoted battery life is 25 hours, but we frequently see it last longer than that. The monochrome screen and lack of bells & whistles certainly must help here. As far as power goes, the unit will accept 2x AA batteries, and they can be either alkaline, NiMH (we prefer Eneloops), or lithium cells. Another perk is that the eTrex 10 offers GLONASS satellite reception (Russia’s new GPS system), which is typically a feature found in higher-end GPS devices. If you live in the northern latitudes, this can really help boost “accuracy” (EPE). As an example, we have been seeing GPS accuracy of 9 ft. (3m) while indoors here in the Pacific Northwest. That is definitely impressive! Also, the eTrex 10 supports WAAS reception (originally designed for aviation use), which is a more accurate GPS signal that has been coordinated with ground-based stations. Honestly, WAAS reception in our area is spotty, so we just leave that option turned off. We’ll go ahead and get this out of the way first: the so-called “basemap” included on the eTrex 10 is nothing more than rough country outlines, state borders, and pinpoints for major cities. Don’t expect to be doing any highway navigating or topo map research on the device. It really is designed to get you from one point to another, or to be used in conjunction with a paper map & compass. For the power users out there, yes, you can add a very limited amount of map tile(s) to the device. This involves using other software (Garmin’s Map Manager and Map Install) and swapping out the “gmapbmap.img” file. A word of caution, backup everything first! We are not responsible if you brick your GPS. Obviously, this process is not supported by Garmin. Other websites have better step-by step instructions of how to do this, so we’ll leave those details to them. While the eTrex 10 technically supports so-called paperless geocaching (loading of .GPX files with cache details, hints, past logs, etc. ), in practice the limited 8 MB (yep, only 8 megabytes) of onboard memory makes this a huge challenge. This probably shouldn’t be the first choice of dedicated geocachers, as you will quickly run out of space and get “low memory” error messages. Garmin, if you’re listening, please add an expandable memory card slot on the next version. Or, at the very least, additional onboard memory. An alternative method to load larger amount of geocaches is by way of Garmin’s free “POI Loader” software, which can convert multiple .GPX files into a “Points of Interest” (POI) file. This will at least give the name of each cache, the hider, difficulty, and terrain level. But… no hints or other detailed info unless you use third-party software such as “GSAK”. 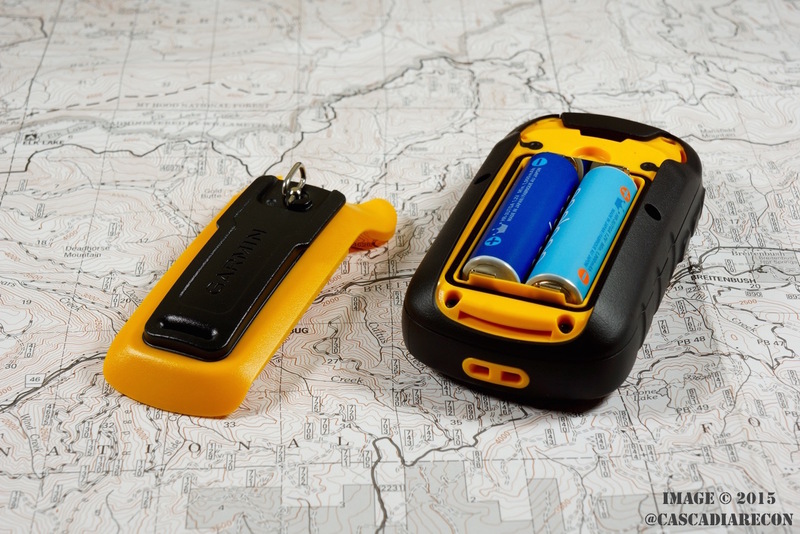 If you are comfortable navigating with a map and compass, the eTrex 10 would probably be a great addition to your kit. And if you just want to get your feet wet with geocaching or learning about navigation, the eTrex 10 is a good low-budget way to get started. It has definitely earned a permanent spot in our gear bag.